This is a nice easy project which you should easily complete in a couple of hours. Everyone has their own diaper preferences, but a well-put-on flat diaper, with correctly fitting plastic pants, has many advantages. At night they are great for avoiding leaks, they are easy to wash and dry, and they are pretty cool in a vintage sort of way. I find that the most useful and comfortable size is a square about 1.6x your waist measurement. 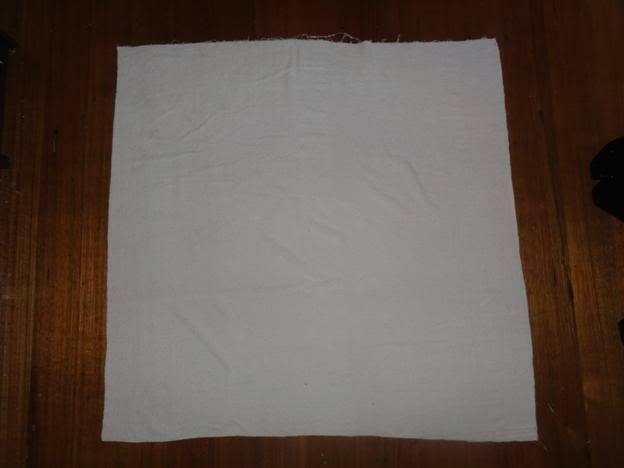 For example, if you have a 75 cm waist, I suggest you try a 120cm square. 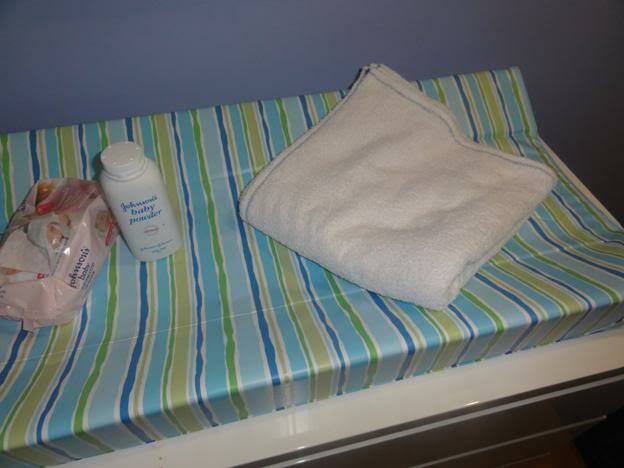 This will give you a useful-size diaper that gives you many options for folds. Buy your fabric. I suggest toweling in the color of your choice. White is of course traditional, but if you want a pink or blue or even purple diaper, why not? 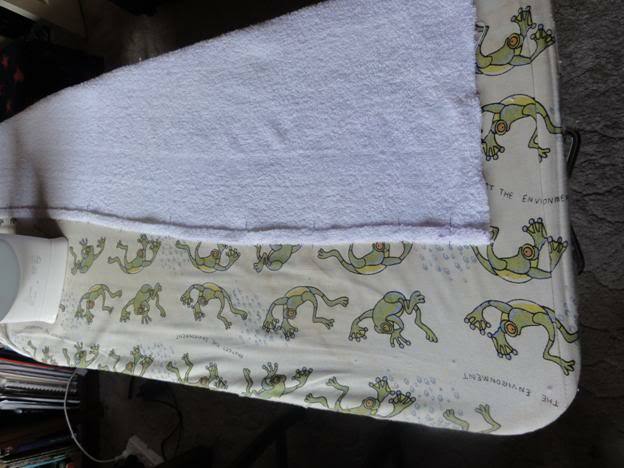 Flannelette is also an option, but it won’t be as absorbent, and you may need to add doublers to last you through a night. Wash your fabric. This will preshrink it. It is advisable to wash any fabric prior to sewing it. Cut a square of fabric L x L cm. 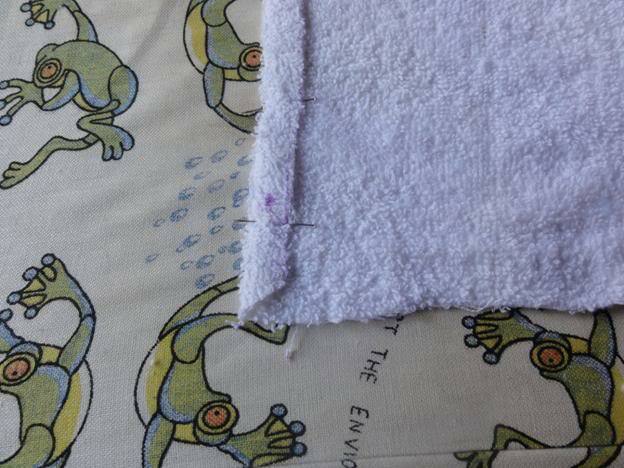 You need to stabilize the cut edges of your diaper or it will disintegrate during washing. There are a number of ways you can do this; I will share the way I like to do it, which is quick and effective. 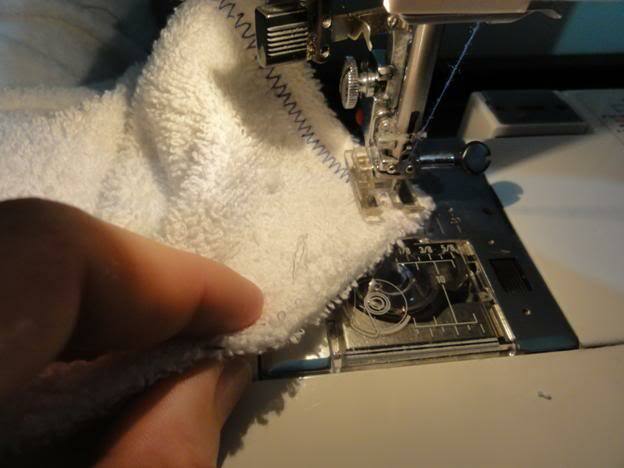 Generally when you hem an edge you roll the edge over twice and sew down using a straight stitch or an invisible hemming stitch if you are hemming a skirt. I have shown the hemming process in the pillowcase project, but a rolled hem with terry toweling will leave quite a bulky hem, so instead I just fold the edge over once and then finish the edge using a ziz-zag stitch. Use a matching thread, or if you prefer, use a contrasting thread like I am using. Continue until you have all four edges turned over. 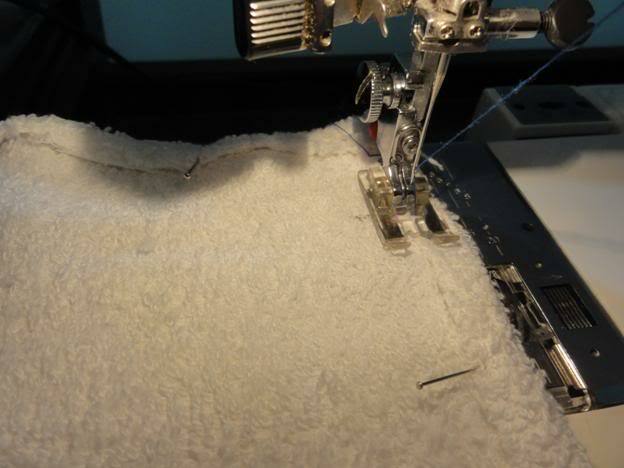 When you position your sewing it is important to have the bulk of the material to the left of your machine, otherwise you will struggling to push all the material under the arm of your sewing machine. Set your machine to zigzag. Position the square under the needle and lower the presser foot and start sewing a zig-zag stitch down the raw edge. 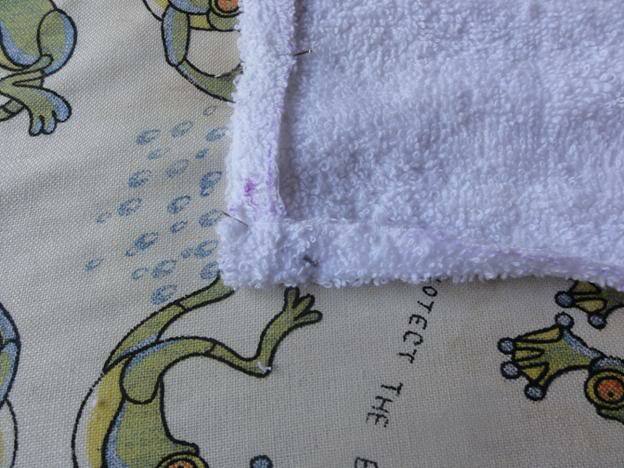 A tip: unlike straight stitching, zigzag doesn’t pull out, so you don’t need to lock your stitching like as in the pillowcase project. Continue all the way around and you have a flat diaper. Carefully remove all pins. Trim all lose threads. Thanks a lot for the tutorial! 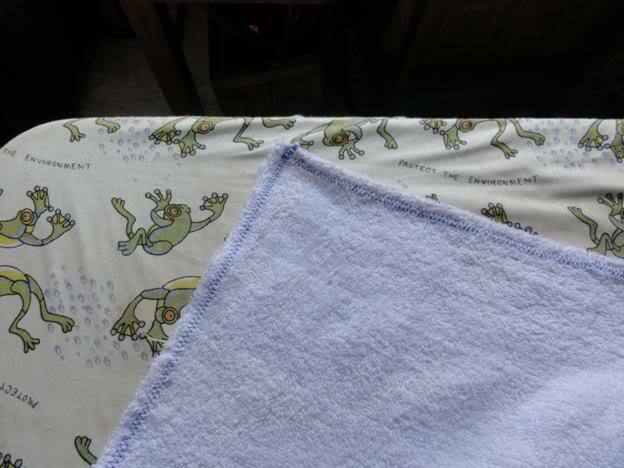 Would you happen to have a pattern for diaper covers/plastic pants or know where one can be found? Ingenious! 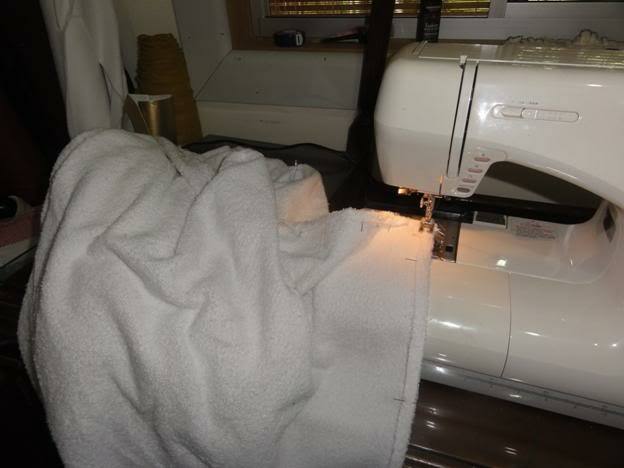 I used to make plushies for my ex and other people, but never tried making a nappy/diaper from scratch. Very clever!